The SHS website was featured in the December 2008 issue of 'Family Tree' magazine. The article described online resources for tracing family history in the Bucks, Berks and Oxon area. 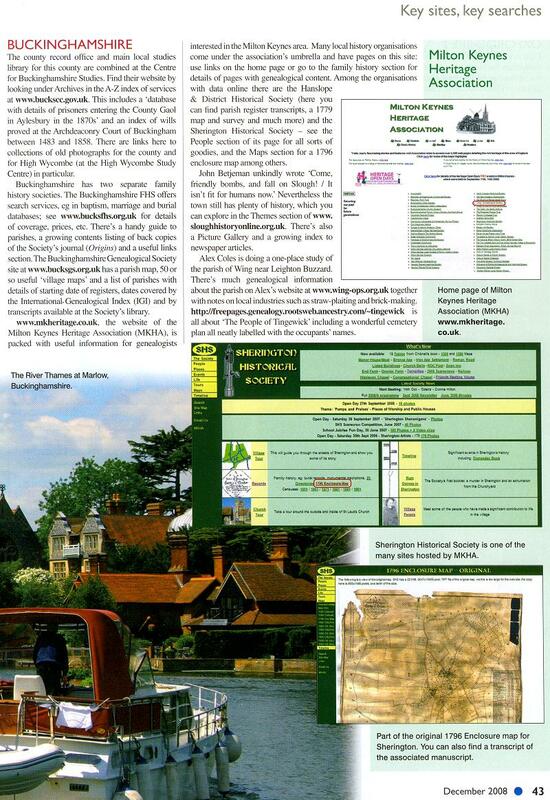 Two screenshots of SHS web pages (the home page and the 1796 enclosure map) were included, together with a mention of the Milton Keynes Heritage Association.